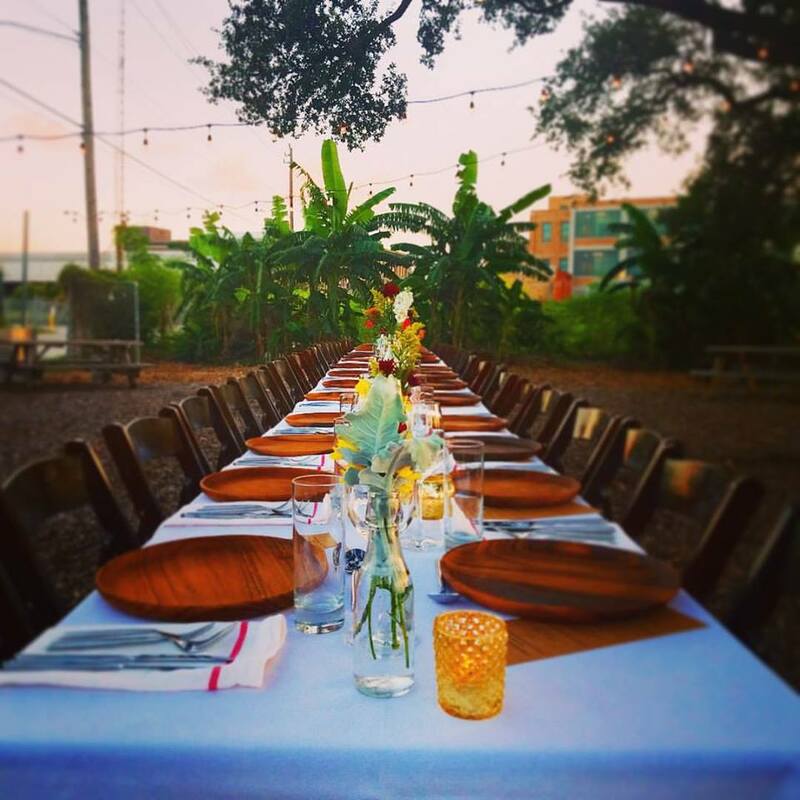 Our outdoor venue is a great space for dinners, fundraisers, wedding receptions, birthday parties, and endless special events. We invite you and your guests to discover why Finca Tres Robles is a perfect setting for your next soiree. Our farm is a bountiful and unique space located on Houston’s east side, just 3.5 miles from downtown. We are excited to make the farm available for you to host private events! Use of the beautiful 1.5 acre property is available weekdays and weekends and includes the use of our event space under the 3 stunning 100 year old oak trees, picnic tables, and our retrofitted shipping container bar. We are looking forward to helping you make your experience at the farm unforgettable and are happy to schedule a time for you to visit the farm. Please complete our Event Inquiry Form with some information about your event and we’ll get back with you as quickly as possible.